Chrysler may join Nissan, Ford, Fisker and Tesla in winning a share of federal loans to convert old factories to greener-car production. Automotive News reports that Chrysler has applied to the Department of Energy for approximately $10 billion in low-interest loans, to be used for retooling plants. The monies were made available as a part of the Bush Administration's 2007 energy plan, which set aside $25 billion in funds to be loaned to companies changing over plants to assembly of lower-emissions and zero-emissions engines and cars. Previously, Ford (NYSE:F) received some of the loan money to upgrade factories to produce the upcoming 2012 Ford Focus and the EV version, the 2012 Focus Electric. For its 2011 Leaf electric car, Nissan received $1.4 billion to add capacity at its Smyrna, Tennessee factory and to build a new battery plant in eastern Tennessee. 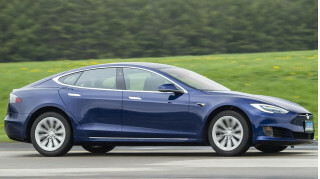 Fisker and Tesla applied and were granted low-cost loans to purchase former GM plants in Delaware and Fremont, California, and to tool them for building their upcoming plug-in hybrid and electric vehicles, the Karma and the Model S.
Chrysler is expected to be awarded loans before General Motors. GM has applied for $14 billion in loans, but has put them on the back burner to avoid complications with its upcoming initial public offering (IPO). Chrysler still owes the U.S. Government nearly $7 billion in loans it received to survive its 20009 bankruptcy. Automotive News says the new loan money would enable Chrysler to pay off the bankruptcy loans more quickly, as the new money would go directly to funding new-model programs. 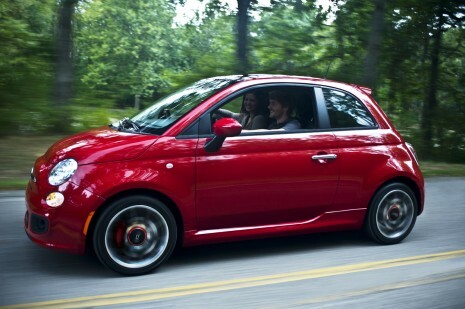 The 2012 Fiat 500 will be the likely target for new low-emissions engines to be built by Chrysler. The automaker's new 1.4-liter MultiAir four-cylinder will be assembled in a U.S. factory that will be retooled with the Chrysler loans, if they're approved. The Department of Energy has awarded more than $8.5 billion in loans thus far.